It’s no secret that we love LEGO building! In fact we love just about any activity that involves LEGO. I think we might owe Big M’s ability to work hard and save money to his BIG list of LEGO wants. He’s always saving for another set. 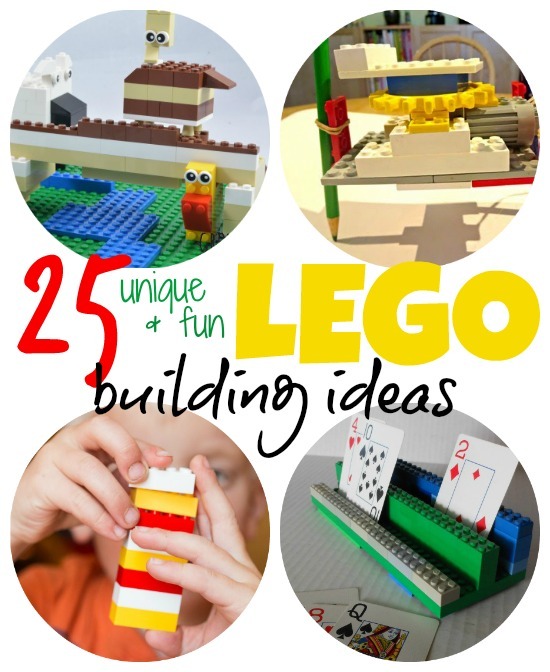 I’m very excited to share something we are all passionate about… LEGO building ideas for kids. Do you have a favorite way to play with LEGO? DIY Lego Storage Solution – SCORE! 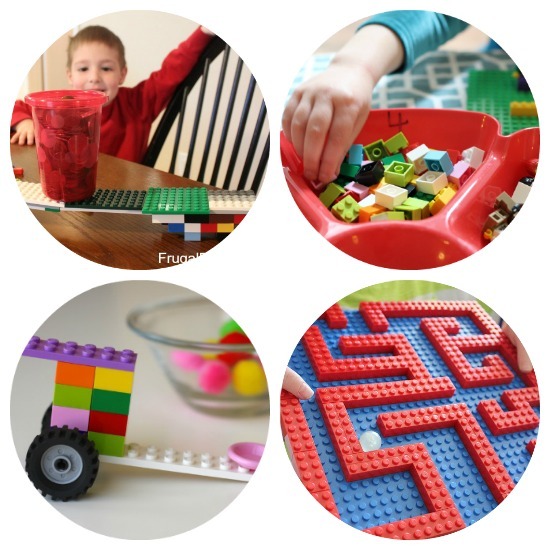 Lego Game… directions and a free printable Game Board!!! Pley sounds really cool! I am definitely going to check it out. Thanks for including our lego tower game in your round-up! What a great round up and what an honour to be featured alongside such talented bloggers. My eldest is 4 1/2 years old and has just started venturing into LEGO land. 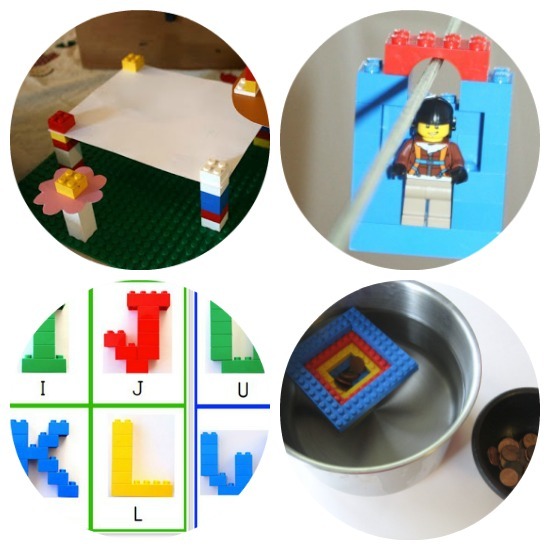 I’m looking forward to going through your list to get some out-of-the-box LEGO inspiration! Pley sounds awesome! Thanks so much for including our story telling idea.